Balzan bounced back from the shock defeat to St. Andrews last week as they defeated Tarxien Rainbows 3-1. Four minutes later, Balzan doubled the score when off a cross from the right, Uros Ljubomirac headed the ball down for Alfred Effiong to hit home from close range. 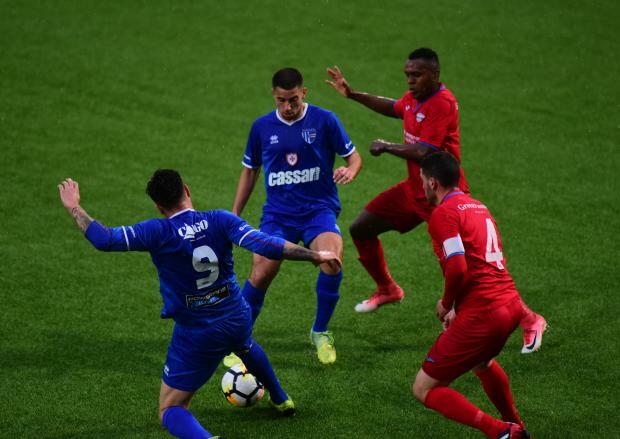 Two minutes in the second half, Balzan left no doubts which way the three points were going as they scored a third goal thanks to a powerful drive by Uros Ljubomirac which gave goalkeeper Andrea Cassar no chance. Michele Paolucci missed a good opportunity to reduce the gap for Tarxien on the 77th minute. However five minutes later, Michele Paolucci was not to be denied as he pulled one back with a low shot from the left. Balzan's Alex Alves was the BOV Player of the match for this game.